Every Monday in July and August there’s an air of anticipation at the TNB Studio on Whiting Road as a new class of students gathers for a week of extraordinary theatre and extraordinary fun. By Friday new friendships will be formed, new skills learned and a production performed for family and friends. Since it was founded in 1999, TNB Theatre School endowed by the Stephen Graham Bird Trust has offered outstanding training in acting, voice and movement, singing and dance in a fun and supportive environment. Discover the magic of theatre! Through theatre games, song and dance, students will explore and expand their creativity, imagination and confidence as they create their own play to share with friends and family at the end of the week. Students receive introductory training in acting as they embarking on a weeklong play creation process that focuses on storytelling, improvisation, character creation and collaboration. The week wraps up with performance of their play for family and friends. Students will receive introductory training in music, voice, dance and acting as they bring to life a well-loved musical that they will perform for friends and family at the end of the week. Students' acting, voice and dance skills will be challenged and expanded as they work with a music director, choreographer and director to dive into a popular Broadway musical. The week will end with a fully-produced studio presentation of the material covered over the week. Students will study advanced classes in film acting, scene study, and the many aspects and roles involved in filmmaking with the award winning filmmakers of Strike Pictures. The professional team at Strike Pictures will lead students through the experience of being directed in a film scene, which will then be edited and screened at the end of the week. Students will then apply what they’ve learned by creating their own film they will present at the screening. Arianna Martinez is a filmmaker, playwright, and educator living in New Brunswick. She has produced several short films that have screened across Canada and internationally. She has worked in many key roles within the film industry including director, writer, production designer, actor, producer and art director. Her most recent short film Letters from the Dead (NB Short Film Venture Program) is in the early stages of its film festival circuit and has screened at 6 festivals and won two awards thus far. As one of the three artists behind Strike Pictures, Arianna is helping lead the next generation of New Brunswick filmmakers. Gordon Mihan is a screenwriter, director, and playwright. He has produced and directed seven festival-screened short films across Canada and has written and staged several plays in New Brunswick. His most recent short film Coached was nominated for Best Screenwriting and Best New Brunswick Short at the 2017 Silver Wave Film Festival. At the 2018 Silver Wave Film Festival he was nominated for Best Sound Design, Best Picture Editing, and Best Screenwriting for Arianna Martinez's short film Letters from the Dead. 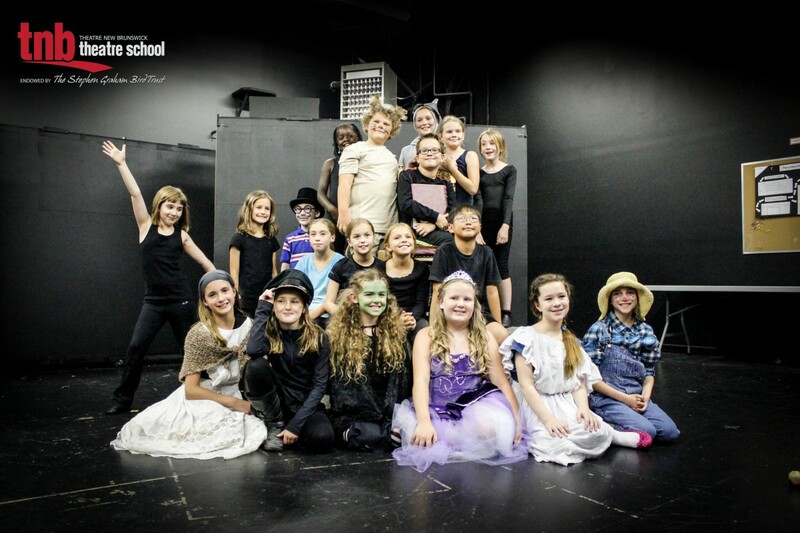 Focusing on acting training and performance, students will study acting theory, voice work, and movement. Students will also take workshops in various different performance styles such as pantomime, improvisation, puppetry, and physical theatre. These skills will be applied through monologue and scene studies that will be presented at the end of the week for friends and family. This intensive will guide students through the art of stage combat: performing the illusion of violence on stage and on film while prioritizing safety and storytelling. Students will learn the skills and techniques of unarmed and sword fighting. Students will then apply their training to learn and create choreographed combat scenes, allowing them explore the acting and storytelling aspects of stage combat as they dig in to the role of conflict and combat in the context of a play. In the interest of safety and providing participants with as much opportunity and attention as possible, this intensive will be limited to 16 participants. Jean-Michel Cliche is a certified member of The Academy of Fight Directors Canada. He has trained across the country and studied with some of Canada’s most prestigious fight directors. Jean-Michel has choreographed fights for both stage and screen, including The Lion, The Witch and the Wardrobe (TNB) Newsies (STU Musical Theatre), and Richard III (Bard in the Barracks). He is also a physical theatre artist and is passionate about telling stories through the use of body and movement. This intensive is designed to help students improve and explore their dance knowledge in the world of Musical Theatre. We will be focusing on conditioning, flexibility training, and technique to better understand the way we move. This class will also learn selections of stylized choreography from some of Broadway’s hottest hits in Tap, Jazz, and other styles suited for the Broadway stage. Gain confidence dancing in musicals while learning in a fun, encouraging and safe environment. Courtney Arsenault is a Fredericton based dancer, dance instructor, and choreographer. Originally from Saint John she moved to Toronto, Ontario after high school to complete training in the Commercial Dance Program at George Brown College. She has been heavily involved with competitive dance and community theatre for over ten years and continues to seek opportunities to grow as a creative thinker. Courtney is currently a member of the coop CORPS, a training platform for artists to develop and perform original works of physical theatre. While off stage she is also a dance instructor for Theatre New Brunswick, Artemis Dance Studio and choreographer for the St Thomas Musical Theatre Program and KV Players. Her work has been featured in productions including Newsies (KVP), Beauty and the Beast (TNB), Urinetown(STU), and Chicago (STU). Courtney has appeared as a guest instructor/performer for notable events including: Saint John Contemporary Dance Festival, PERSPECTIVE, and the New Brunswick Drama Festival. Embrace spontaneity, develop group awareness, and hone your impulses to create captivating and hilarious stories… without the use of a script! Whether you’re an experienced improviser or an actor looking to expand your performance skills, our Improv Intensive is the place for you. In partnership with the professional improv company, Hot Garbage Comedy, this intensive will focus on developing skills such as creativity, listening, quick thinking, and the concept of “group mind”--the ability to be creatively in-synch with your cast mates. Co-Founded and Managed by TNB Theatre School instructor, Jean-Michel Cliche, Hot Garbage Comedy is an improvisational theatre company dedicated to performing long and short form improv, as well as creating other comedy opportunities. Their flagship show, the Hot Garbage Players, is a troupe of rotating performers. Each month, HGP picks a new theme - anything from cop drama to Shakespearean tragedy - and creates a fully improvised hour-long mini-play before your very eyes! Hot Garbage Comedy also offers classes and workshops for performers and non-performers alike. By exploring communication, creative thinking, and positivity, Hot Garbage aims to equip participants with skills they can use on and off stage. 3. In Person: Visit the TNB office at 55 Whiting Road to complete the registration form and make payment. Office hours for registration and payments are Monday to Thursday, 12pm-5pm. Payment must be received in full by the first class. TNB accepts cash, cheque, VISA or MasterCard. Payments can be made in person at the office or with credit card over the phone by calling 506-460-1381 ext 106. We encourage all potential and current TNB Theatre School families to familiarize themselves with our TNB Theatre School policies.